If you're watching the weather in North Queensland this past week you'll be aware that we are sitting in the middle of a mighty monsoon. Rain like I've never seen in my life has been falling for days, with many more days of this endless downpour yet to come. Many have lost their homes, others have been evacuated - the water keeps rising, rivers have broken their banks and the roads are treacherous. Townsville has been pretty much a town in drought since we moved here in 2012, with very dry tropical 'wet seasons' and severe water restrictions as the dam fell lower and lower. That's all changed now. The town dam is at the end of our street and it's overflowing, the spillway is open and the river just 200 metres from us is rising fast from that overflow. Glad there's all that space between us and it. My precious husband has been soaking for days digging our trenches, installing a third pump, shoveling for hours in the middle of the night, crawling through the roof to seal a leak in the laundry ceiling and subsequently falling through (he's fine, thank goodness) plus watching over our neighbour's house (she is away at the moment). We have sandbags at the front and back doors as the water keeps rising and the three pumps cannot keep up. Our home is on a water table so once the ground is saturated (it's clay down there) the water doesn't just fall from the sky but it pushes up from below because it has nowhere to go. The things you discover after you buy your first house, eh? While there are some things I can do outside, they are minimal. Hubby is doing 95% of everything out there and I'm on standby to fetch and carry, brew hot cups of tea and make peanut butter toast when he can take a break. He tells me, "you go about your work inside, sweetheart, so I don't have to worry about you". Love that man. Our drains are about to go under as well and the gurgling in the kitchen pipes is most definitely unsettling, especially when water shoots out from the kitchen sink. The third pump (blue one below) has a double length fire hose and then a long pipe to pump from near the back door to out front close to the storm drain. It's definitely helping to keep the water just under the back door. ...and the front door which has been pretty safe until this morning when the water rose higher out front and up into our front entrance. The pump out front is under that green square to the right. There is an 8" drop over the edge of the front entrance way, which is what has kept us dry near the front door for days, but now its not enough. The photo below was taken just before hubby put sandbags across the doorway. But we are so blessed!! All those pumps and my husband's ceaseless labours have so far kept the water from breeching our house and God willing this will continue to be so during the remaining days of this monsoon. The Rewind Stitchery Club runs for one year from the day you join. 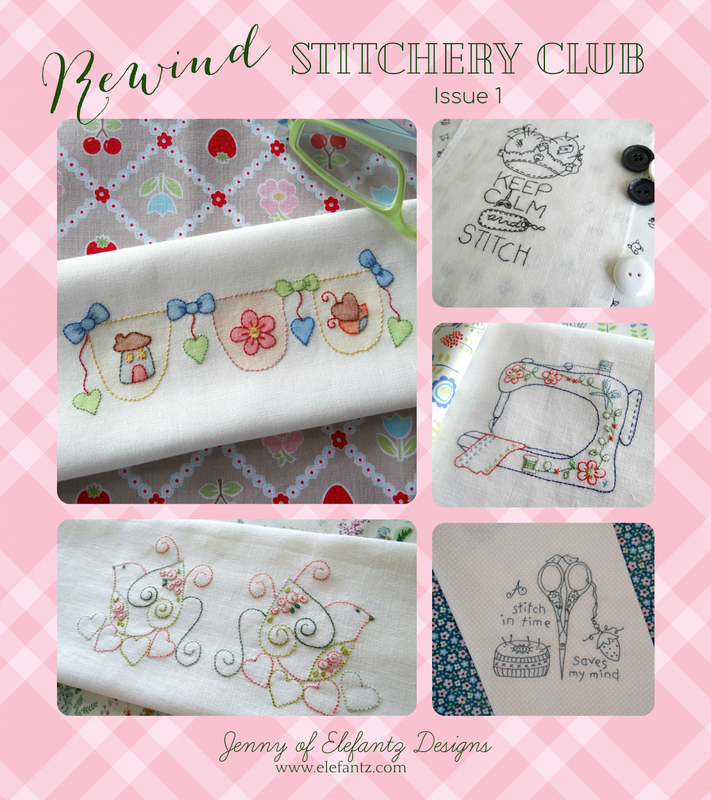 During that year as a member you will receive 12 monthly issues which each contain five patterns to stitch. These are emailed as a PDF file directly to your email inbox on the 5th of every month. The patterns I've included in the 12 monthly issues are my favourite choices from those I designed during 2014-16 and are not available elsewhere. Each pattern includes step by step embroidery instructions, photos, all material and thread details, full size pattern sheets for printing and usually some small lessons or tips about each design. I've also created an independent web page for the Rewind Stitchery Club and I'd love for you to head over HERE and have a look at it! All the information about joining this 12-month Club is on that web page, plus photos of the patterns inside the first issue and the pretty gift pattern members receive when they join. This new Club is bringing me joy already because if you read this blog post the other day you'll appreciate that it's one of the ways I am "using what I already have". The cost is $7.95 AUD per month (around $6 US per month at the current exchange rate) and after twelve months your membership ends. After I unraveled my first attempt at the Sweet Pea CAL blanket I began again with a larger hook and careful reading of the instructions. The lengths I unraveled are now wound onto pegs as they will be perfect for future granny squares. And besides they look so pretty. I am also back working on my next block of the month, Phyllis May's Kitchen, which will look rather different than I had imagined at first...because it IS different to what I'd originally planned. I doubt you'll guess how different? I'm also finishing a one-off Phyllis May pattern which I hope you'll love as much as me, but photos won't be shared today as it's become quite dark inside the house and not camera friendly. Hopefully very soon. Some nice blogs with wonderful and inspirational ideas to share. I'm going to take inspiration from Julie who has recently made some beautiful and functional changes to her sewing room, which she tells me is the same size as mine - so we both (as women who sell our wares) appreciate that small spaces can be made far more functional with wise planning. You might already know of Julie's blog, My Threadbear Life, but if not let me encourage you to pay her a visit soon. She's a wealth of inspiration! Annabel of The Bluebirds Are Nesting has begun a new series on her blog, The Tuesday Afternoon Club, which encourages readers to share how they have utilised the skills or supplies they have on hand and/or saved money for the household. I love the variety of ideas on her blog! One of the ladies in our Gentle Domesticity Facebook group, Teresa, shared this blog link the other day for a wonderful tutorial and free template for making bobbin cards for storing lace. The blog is Queen Bee Cottage and you'll find the tutorial here. May your own circumstances, whether they be fire, flood, snow, ill health or outside pressure which is filling you with anxiety, be made less stressful by our wonderful God who loves each equally and without restraint. Let your requests be made known to Him and then rest as He cares for your needs in a way you cannot do for yourself. My heart is hurting for you. You remain an inspiration to me. My heart goes out to everyone in the monsoon's path. I cannot imagine what it must be like. I remember one time we had a lot of rain and I watched the water come half way up our front lawn. But it was gone within a couple hours. Nothing like what you are experiencing. Thank goodness Mr. E knows what to do and is able to do it. I wouldn't be able to help my hubby either. Several years ago I could have but not now. Too many pounds have been added in the last few years. I hope you will be able to keep the waters outside of your home. I hope that Blossom and her little family are okay. May The Goddesses watch over all of you until this storm passes. Dear Jenny praying for you and your husband. May the Lord bless you and provide all you need during this challenge. Dera Jenny, I hope that water stays at bay! I am praying! It would be quite frightening. The whole world seems to be having extreme weather. Being busy inside is the best thing. If I am anxious I need to be busy! Dear Jenny, I had not heard of the monsoons in Australia. Please know that I will be praying for you and your family and others in the path of this monsoon. May you find peace in knowing God sees you. Dear Jenny, praying for you and your family that you will keep safe and that your house will not be inundated with water and that includes Blossom and her family too. It is amazing how much rain can fall in one area and virtually nothing in another. With regards to this blanket your are making, what does CAL stand for? I have tried to work it out but haven't been able to. Gosh, Jenny. Sorry to hear about all the rain you are getting. While I'm glad you are because of the drought, it seems a little much all at once. Hang in there. Say your prayers. What's the saying? "This too shall pass." Thinking of you. I heard about the awful weather in Queensland from a friend who has flown out from the UK and is staying with family in Cairns. I had not realised it was this bad though. Your husband is working so hard to keep your beautiful new home safe. You must be so proud of him. I will be thinking of you during this very stressful and difficult time. Better luck with your second attempt with the sweet pea blanket. I have done two of Lucy’s blankets; one was gifted and I kept one for myself. I went to one of her workshops in Skipton a few years ago. Lovely lady and very helpful so if you have problems again do contact her. Sounds like you are under seige! Such awful weather. Hope all is well. My goodness, you need webbed feet. So many pumps yet so much water. I hope Mr E is okay and that your home is safe from flooding. Thinking of you and sending many angel hugs. What extreme weather we are having around the world- I hope that you stay safe. What a blessing to have a practical husband who is working to keep things under control. A good marriage or partnership makes a great team - both doing the tasks they are suited for and working together. My thoughts are with you and those in Australia who are experiencing extreme heat and also those in the US having snowstorms. What a great variety in one blog post! Such a difference in weather! Flooding! It is scary if you have experience or not. Hope you dry out soon! Thanks for sharing all the creative links and ideas today! God gave you a special blessing in your husband. Prayers that you both remain safe. At least you will have a good story to tell when this monsoon passes. There’s absolutely no room around our house for something like that, and Kalli, a big issue for us is that our land is on a water table which pushes the water up to the surface because it has nowhere else to go. This intensifies the flooding issue from rain alone. 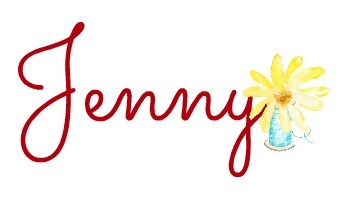 I'll be praying for you Jenny! When we lived in the country - our sump pump often ran every 5min - especially in the Spring. I remember we were told that if our house sat 6" lower - we would have a water problem in the basement. So we were quite anxious when that sump pump ran to continuously - praying it wouldn't malfunction. So thankful the water is being kept at bay - and praying it will somehow recede before getting worse. 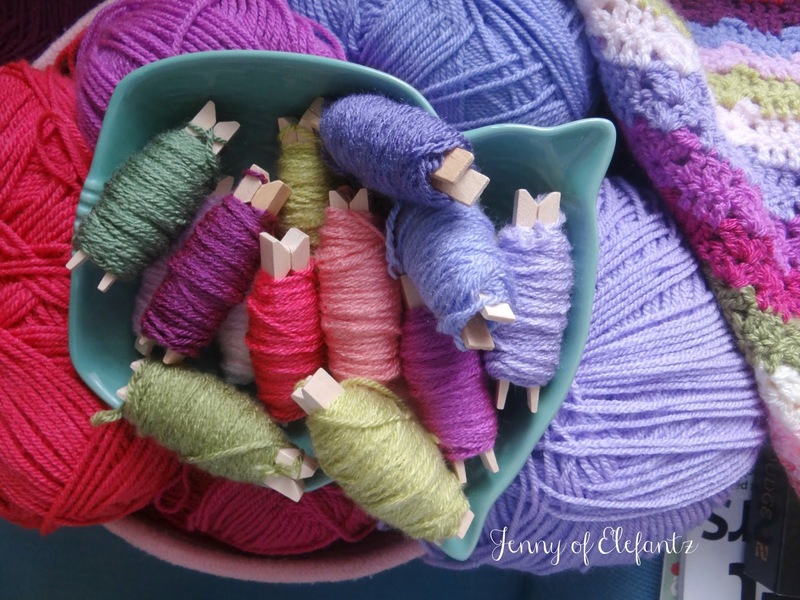 Enjoy your knitting - the colours are beautiful. Love seeing all your pretty stitchery patterns. OMG! Stay safe and dry! Thanks for sharing all the pretties. Praying for a break in the weather soon & that you stay snug & dry inside your home. Mercy, I cannot imagine the worry and stress you must be under. I hope the rain stops soon and the flooding can recede. Sending you my thoughts and prayers that your home remains dry. You are a true inspiration. I am hoping for the best for you and your flooding situation. Thank you for thinking of us in blogland with the links to other sites and your wealth of info. when you have so much on your plate. Thinking of you and praying for relief. Thank you fir your gentle, kind soul. We appreciate you. Oh Jenny! I feel for you, it stressful to keep that water at bay, wondering if it will eventually come inside. And I can't imagine pipes that are going under! Praise God, your husband knows what to do and works so hard. Prayers being said for you both and your sweet home. Praying the Lord helps your husband, who has to be exhausted trying to do all he is doing. Hopefully,the rain will cease and he can catch a break. The man is relentless. I am amazed at his endurance. Here in Ohio, we have snow with negative chill factors that are dangerous to be outside. Frostbite. Unsafe for outside pets, too Extreme weather all over the globe, it seems. Be safe. Lord Jesus, as you calmed the storm when you were crossing Lake Galilee, so calm this monsoon that is inundating your people. Let the rain cease and the floods diminish. We ask this in your name, amen. Praying for you and Mr. E - YIKES! Prayers going up for you and Mr. E. I hope the waters stay at bay!!! oh Jenny, that is what we had last weekend, and were going to have again this weekend, although we heard it was heading down your way. I do hope it doesn't get any worse. What a relief to have someone like your hubby on hand. Our toilet and sink bubbled over as well- how scary! thank you for the wonderful blogs that you shared, it is always a delight to come and share your space with you. God bless and keep you safe. Prayers lifted for you and Mr. E to stay safe and dry. It is truly challenging and unfortunate you must experience this in your new forever home. What a wonderful man Mr E is taking care of you so well. Of course you are no slouch either, keeping him fed and watered. We could do with a little water on this side of the Tasman. Have had very hot temps for the past week and the paddocks are starting to look very brown. I have cows calving this week and its taking its toll on some of my older mums. What a shock for the babies when they arrive!! Take care and know that you are in our thoughts. Thinking of you dear lady. I have been where you are and know the anxiety that you are going through. I am sending up prayers for you and Mr Elifantz and your daughter and her family. Oh, my, Jenny. With all the news here about the polar vortex with bitter cold and lots of snow in some areas of the Midwest and Northeast, we've heard nothing about your monsoon. Will keep you in our prayers and hope the rains cease and recede quickly. I'm amazed you've had the presence of mind to prepare such a lovely post. Keep safe. OMGosh, Jenny! Here in the states, I was not aware of this terrible monsoon and the havoc it is causing. You and your hardworking husband are in my prayers! I was in a flood once when I was 7 yrs old when we lived in Southern California and an earthen damn broke and flooded our neighborhood. I remember my parents assuring us that we were safe in the house due to the elevation of the house above the level of the yard. I do, however, remember watching our VW Bug float away down the street and the nightmares that ensued. I am praying our good Lord keep you and your house safe and that will be blessed with all you stand in need of. Be safe! Praying for you, Mr. E and the others in the path of this terrible monsoon!! I can't imagine getting 8" (200mm) of rain in 6 hours! I have always lived in the desert, so more than 1/2" was amazing and produced floods. I am following the little news we get here, and praying for your family. I hope Blossom is in a high enough place that her family isn't threatened. It's bad enough for adults, but children can be traumatized so easily. I know your faith, and I know the Lord loves you, so I'm just nagging him a bit on your behalf. I have been through typhoons in the northwest Pacific, near Japan, on the island of Okinawa, and I know it can be very frightening. I'm so grateful you have three pumps, and if more are needed, I hope they are available. And that the drains don't fill up! To have the dam go from practically empty to the spillway open is an amazing amount of rain. One year our huge Hoover dam (the only time ever I think) opened the spillways and the water was splashing dozens of feet high to wet the windshields of cars in the parking lot. Nature is so powerful, and we forget that it's hard to beat. Love and prayers, Jenny. I have lived in areas where it floods but have never experienced it up to my house like you are. I will keep you and your husband in my prayers that you will stay safe and dry. Praying for you and Mr. E and that you're precious new home stays dry. Your stitchery "Keep Calm and Keep Stitching" seems quite appropriate just now. Unless you are one of the people being evacuated - then I hope your stitching is one of the things you grab first to "tide" you over. Our love and care is with you all.